A spa break in Hampshire would bring you to a county packed with things to do whilst on your spa break. 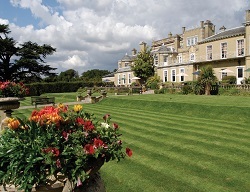 Hampshire is a well populate county for spa breaks and brings you some great quality venues. Within this county we have an abundance of award winning hotels and beautiful sanctuaries to rest a tired body and mind. Take time out from a busy day to day schedule and relax in beautiful surroundings at one of our Hampshire spa break venues. From the award winning Champneys Forest Mere, located within its own beautiful grounds for nothing but peace and quiet on your spa break. To the Apollo hotel which offers a great base for a spa break to visit attractions such as Thorpe Park, Windsor and Sandown Park. We also have two of the award winning QHotel groups spa venues located in Hampshire. Enjoy the outdoors with great spots for a round of golf, horse riding or fishing. Why not pay a visit to the tigers, lions and giraffes at the Marwell Wildlife Zoo or New Forest Wildlife Park. If theatre is more your interest, Hampshire offers some impressive theatre located in Portsmouth, Winchester and Southampton each showing great musicals, pantomimes and west end shows.